Don't let your friends miss out on this opportunity! Alert them that our entry period is open now through May 31, 2019. Entries accepted April 1 through May 31. Visit motoblot.com/missmotoblot and motoblot.com/missmotoblotinfo for complete details. Submit your photo and details. Wait for your email confirmation information. Prepare for the online voting round. This information will be used to build out your online round voting profile as well as how you are introduced onstage by our host if you advance. NONE of the information required in the fields below this point will be shared publicly. This is for administrative purposes only. Anything you want the contest organizers to be aware of? 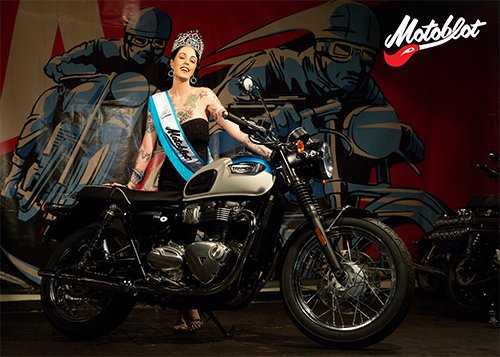 Thank you for your interest in the Miss Motoblot contest. Entries are not processed daily, so hang tight! You'll receive your confirmation email soon.